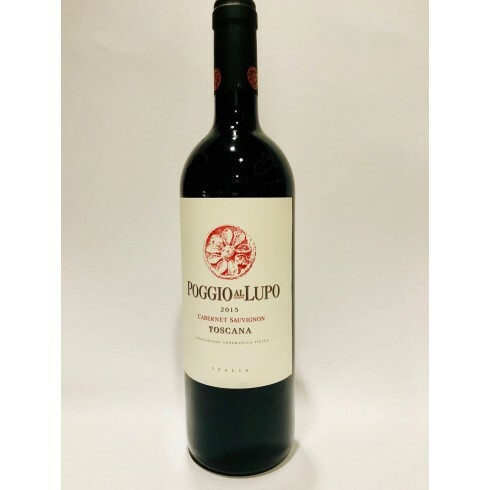 Poggio al Lupo Cabernet Sauvignon Toscana IGT On Offer | Saporidoc UK. Cabernet Sauvignon from famous Maremma, Toscany producer - Poggio al Lupo. A manual Cabernet Sauvignon, able to express not only the best characteristics of the varietal, but also those that are the most typical peculiarities of this stretch of the Tuscan coast. Maturation 12 months in French oak barriques followed by 6 months in the bottles. Bouquet A blend of fragrances that evoke black cherry, spices and aromatic herbs. Taste Deeply involving with excellent fusion, thick and tight, yet also expansive, flavorful and pleasantly tannic. The vines for the Cabernet Sauvignon red wine have an age of 15 years and grow in the Poggio al Lupo vineyards in Magliano in the province of Grosseto in Tuscany at an altitude of 140 m.
The grapes were manually harvested, sorted and destemmed. The grapes were fermented in stainless-steel tanks, followed by malolactic fermentation. The wine was aged for 12 months in French oak barriques followed by 6 months in the bottles. Bouquet: A blend of fragrances that evoke black cherry, spices and aromatic herbs. Taste: Deeply involving with excellent fusion, thick and tight, yet also expansive, flavorful and pleasantly tannic.